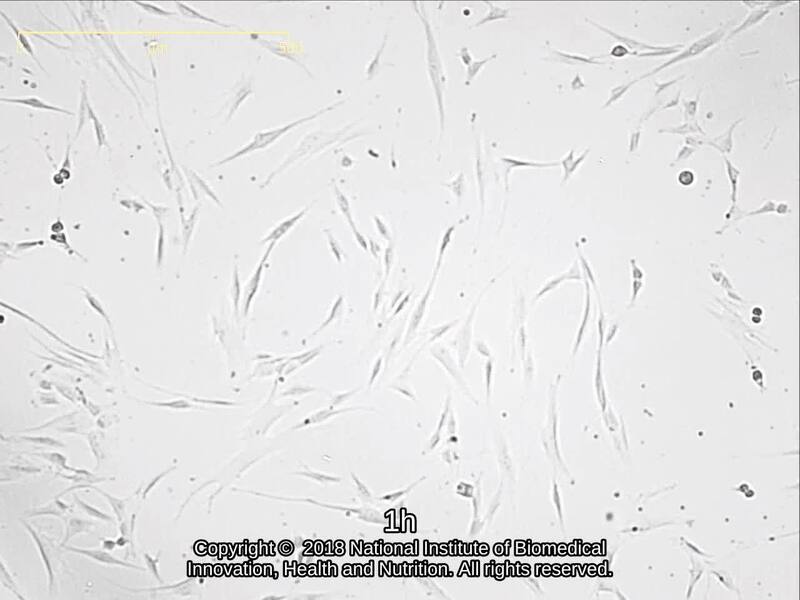 Human normal fibroblast from skin. Maximum PD = 53. Cells may be distributed around PD15-PD20. Wash in CMF-PBS.Add 0.25% trypsin. Incubate at 37C for 10-15min. Suspend cells in medium. Eagle's minimum essential medium with 10% fetal bovine serum. This lot was frozen using DMSO. Eagle's minimum essential medium with 10% fetal bovine serum (FBS Lot; GIBCO Cat. No. 10099, Lot 484375). This lot of ampoule was frozen using DMSO. 0.25% trypsin and 0.02% EDTA. Split ratio 1:4 is recommended.